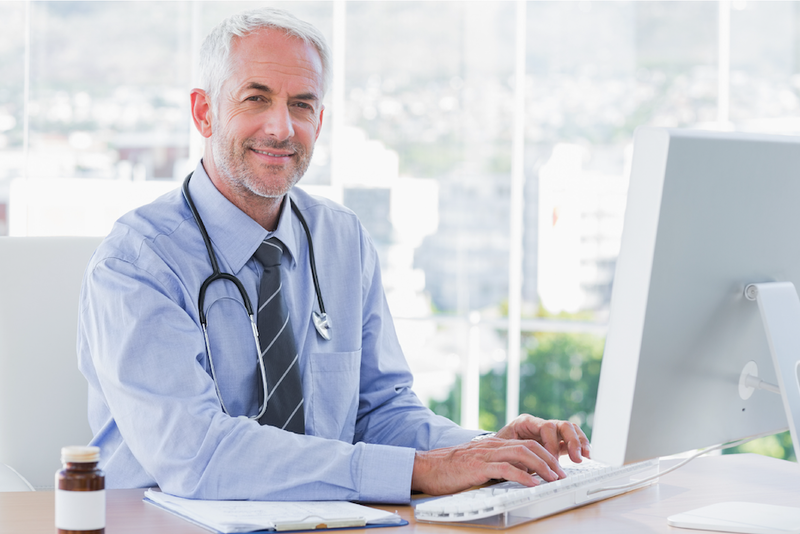 At Splice Marketing we have built many websites for healthcare providers. And sometimes, we have clients who want to create their own content rather than using our content creation services. They feel they know the pros and cons of their products and/or services better than anyone else. Therefore, they believe they are in the best position to write it. 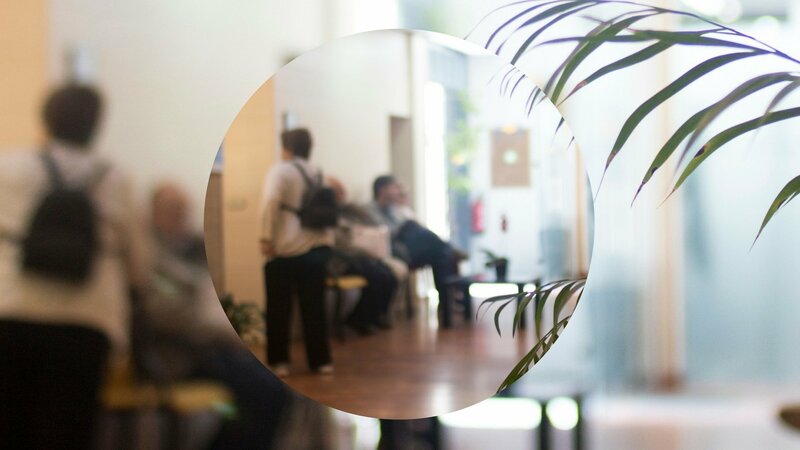 At Splice Marketing, we understand every healthcare provider has different needs, so we are always accommodating. As a result, we often get asked by our more digital savvy clients. A good question. Writing for the web requires a specific style of writing and should follow certain writing conventions. This helps create good user experiences and optimisation for search engines. So, we have created this resource for those who want to write their own content, but would like some pointers in the right direction. Before we dive into our content creation tips, we want to set the scene by briefly touching on the brain's mental processes. This is known as cognitive psychology. Understanding how the mind works, helps with structuring website content. Cognitive load refers to the amount of information a person can process at any given time. When writing content, we should ensure the reader isn’t overloaded with too much all at once. How To Design Mental Models That Create a Superior User Experience. 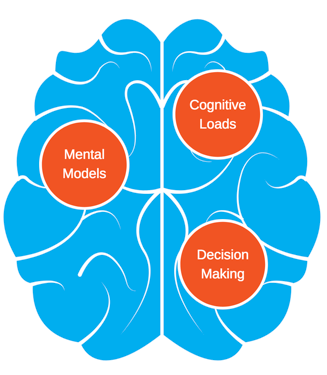 Decision making refers to the cognitive process that helps us make decisions. We can help website visitors in their decision-making process by placing useful content in highly visible positions or at certain points in their website journey. Whether you're aware or not, numerous messages and pieces of information are put in front of us everyday. Therefore, we have mastered scanning content before deciding whether to read it in full. These are our tips for improving your website visitor’s experience through easy to process, scannable content. If you think big words impress, you aren’t alone. However, did you know that even people with high reading levels find simple text easier to read? Writing in a language, your audience is familiar with, means it takes less effort for them to process mentally. Think of it this way. If you’re a surgeon and your website content is written in a language for surgeons, anyone else visiting your website will struggle to process the content. 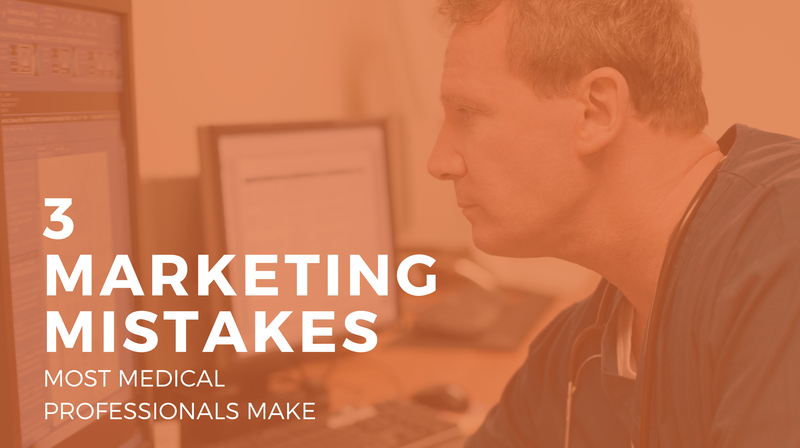 However, if you write in a language make-up artists would understand, your content will be understood by most people visiting your website, as well as surgeons. A win. The aim of your content shouldn’t be about asserting your superiority in a field. Complicated copy will only take more effort for a reader to process and contribute to higher bounce rates. A bounce rate refers to the percentage of website visitors who navigate away from your site after viewing only one page. A study in 2006 by Daniel Openheimer showed that people rate authors of harder-to-read text as less intelligent than authors of easier-to-read-text. Even well-known author Stephen King writes for a reading age of approximately 14. As a rule of thumb, we recommend writing for a reading age of – 11, 14 and 18. Depending on the position and type of content you're creating. See below. What’s the reading level of your content? There're a number of online tools you can use to calculate the reading level of your text. This includes a tool by SEM Rush (just Google 'content readability calculator'). 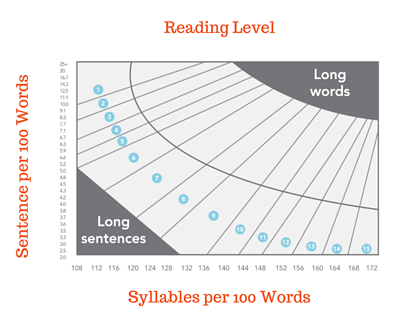 Sentence Length - shorter sentences produce lower reading levels. It’s recommended that there are no more than 20 words in each sentence. And only 5 sentences per paragraph. If your sentence is too long, consider breaking it in two. Additionally, using dashes is considered better than using semi-colons. How many syllables there are – smaller words have less syllables and produce lower reading levels. 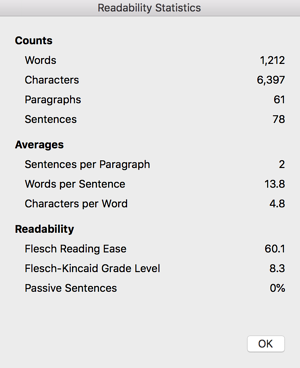 When writing any type of content at Splice Marketing, our favourite tool can be found right within Microsoft Word and the 'Show readability statistics’ option. The outcome? The reading ease was 60.1, right on the 8th grade reading level. Breaking content into short sections with sub-headings allows readers to find information within your text quickly. White space reduces clutter and makes copy easier to read. On your website you have a whole page to play with - don’t be afraid to use it. At Splice Marketing, we're fans of bullets points and numbered lists. First of all, they take less time to write than long winded sentences. Secondly, you have to agree 1 sentence and 5 bullet points is easier to scan than 6 sentences! A Microsoft report published in 2015 concluded that the average attention span is 8 seconds. Whether or not you believe we have shorter attention spans than goldfish, I think we can agree they're getting shorter. According to a study by Xerox, researchers found coloured visuals increase people's willingness to read a piece of content by 80%. 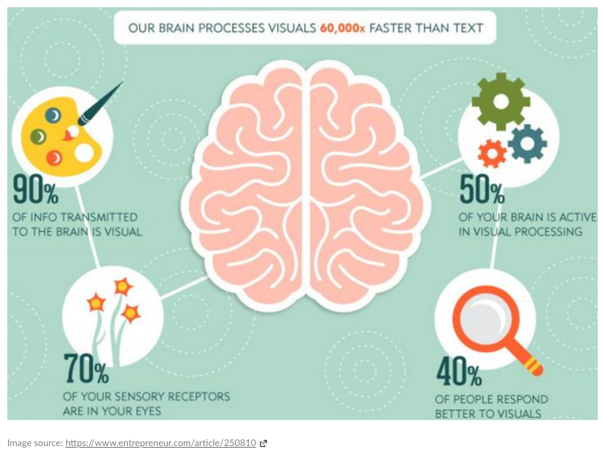 Therefore, we recommend using images, videos and charts to grab attention and make reading a web page more appealing. 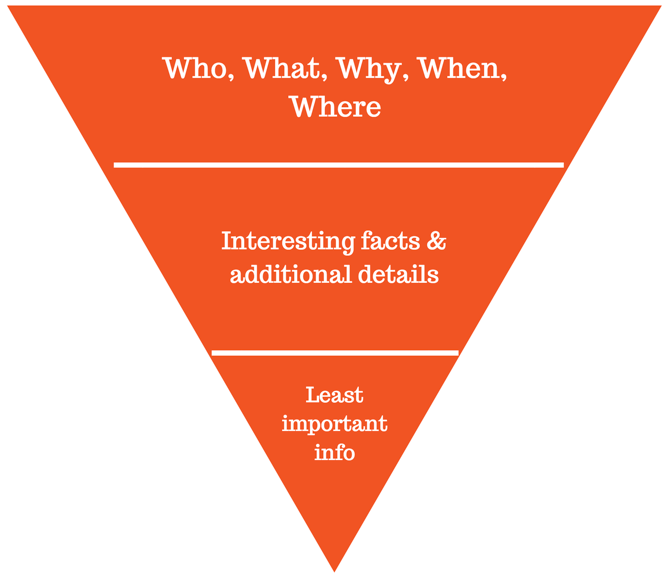 The inverted pyramid is a method used by journalists. It’s a metaphor used to illustrate how information should be prioritised in content. The most important pieces of content are placed in the beginning of the article. It is then followed by the supporting information. Use words like ‘you’ instead of ‘patients’ in your content and use the words ‘we’ instead of your practice’s name. The use of pronouns make content approachable setting up a relationship between your practice and your audience. Don't assume your audience understands medical jargon. Due to the nature of the healthcare industry, we understand there will be times when medical terminology must be used. So, where possible use everyday language and provide clarification for anything that might be obscure to the reader. With so much content available on the Internet, you'll want to ensure the content you are sharing is of a high-quality. So, our last tip for writing for the web, is to check your grammar. Don't worry if grammar isn’t your strong suit. At Splice Marketing we use a tool called Grammarly. Grammarly is a free plugin you can install on your browser. It detects grammar, spelling, punctuation, word choice, and style mistakes in your writing. See this video. We hope this resource has provided direction for your content writing. Remember, if you don’t want to do it all yourself, we would love to support you. Chat with us about our content services.